Successful completion of investment round makes it easy for Eshop USA Inc to expand their services. Eshop USA Inc has successfully finished its investment round. This investment proves helpful for them to expand their services. They can serve their customers in a better way without any limitation. Eshop USA Inc feels pleasure while working with their clients, but want to increase the range of their service and number of clients. Eshop USA has a good reputation for ordering from USA marketplaces and internet stores. They are one of the most competitive mail management and cloud logistics service provider. They recently announced the successful completion of their final investment round. This investment proves really beneficial to offer quality and quick services to their customers. It proves helpful for them to deliver affordable logistic and mail management services. Each business organization needs to move their products from one place to another place. They have to send their products and services to different areas of the world. Consequently, the reliable services and efficient logistics are required. Eshop USA Inc has no issue while working with their new cloud logistics and order processing systems. Eshop USA focuses on providing outstanding cloud software, dedicated support service, on-demand logistics, regular packaging, product return procedure and international transportation. Cloud logistics services of Eshop USA Inc can be obtained on their website www.eshopusa.me . Their products make it possible to run each business operation just like a clock. They receive reliable rates for their services. With their flexible pricing system, customers can avoid long-term contracts. Product return can be a problem for a business organization. Eshop USA Inc makes this procedure simple for their customers. They can control the returns and decrease the stress of their customers. Moreover, regular packaging can be a real hurdle for businesses. They can make the procedure of unloading and loading easy and offer regular packaging materials, such as boxes of regular size and packing tape. All of their warehouses are ready for international transportation through numerous transportation options. They prepare necessary documents for fast delivery. New investment proves helpful for the Eshop USA Inc to offer affordable online mail management services at flexible terms. 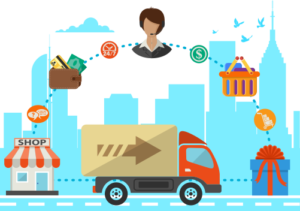 They are trying to help small and large business organizations to expand their business and reach a wider audience in cargo transportation. This will allow their customers to make more money to increase their sales. Eshop USA Inc is a user-friendly platform with its dynamic pricing system.